Being a premier partner to JCB means the equipment we use is of the highest quality. We also ensure when we turn up our well maintained machines are fully functional and ready to get to work. We have a broad range of plant equipment available so no matter what the job is that you need doing, we have the right machine to help you. The heavyweight of our fleet at 22-tonne, the JCB JS220 is the perfect tracked excavator for large groundworks jobs and comes with a huge bucket capacity of 1.93m3. Used for moving large volumes of soil quickly, bulk excavation and deep drainage. 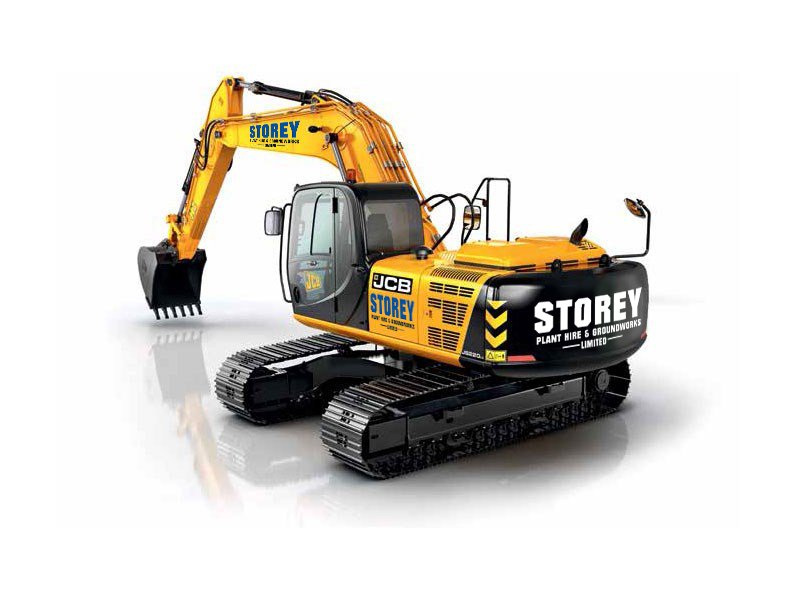 Weighing in at 13-tonne, the JS130 LC tracked excavator works well on both large and medium sized groundworks jobs. We use the JS130 on more general groundwork jobs as it’s easier to handle and better in smaller spaces. It’s great for grading out too. 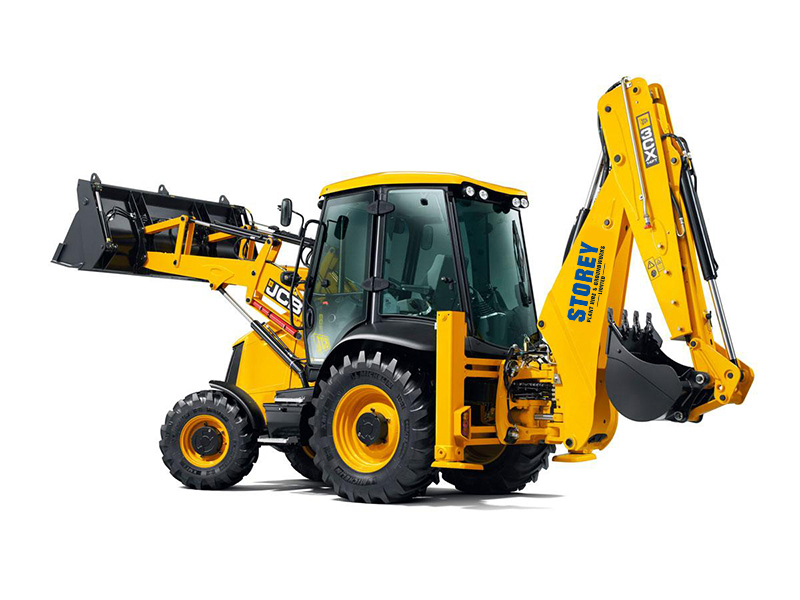 Considered the world’s number one backhoe loader. The 3CX is efficient with low running costs. The 3CX is nearly always onsite being a versatile machine with a front and back bucket. Great for small jobs in gardens or driveways and can be delivered without a lorry. A very popular machine for used for general site works on small to medium sized projects. Perfect for house building. With a huge reach our handler is an essential part of our fleet. We have a broad range of dumpers including 1, 3, 6, 9 and 10 tonne. Our well maintained power float takes a skilled operator to achieve a polished concrete look. 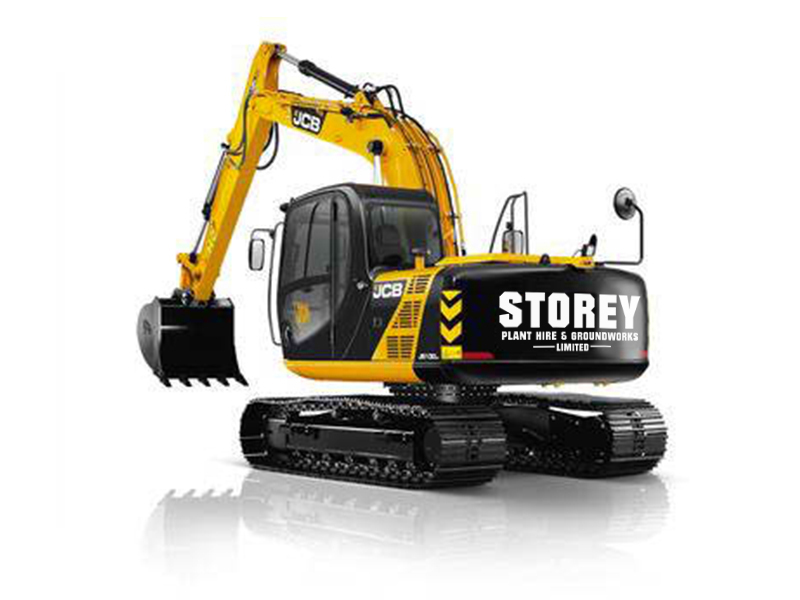 We operate two 1.8-tonne JCB mini diggers which are great for small projects and confined spaces. We have a range of ride-on roller, walk behind roller and walker plates in various sizes depending on the size of the job.